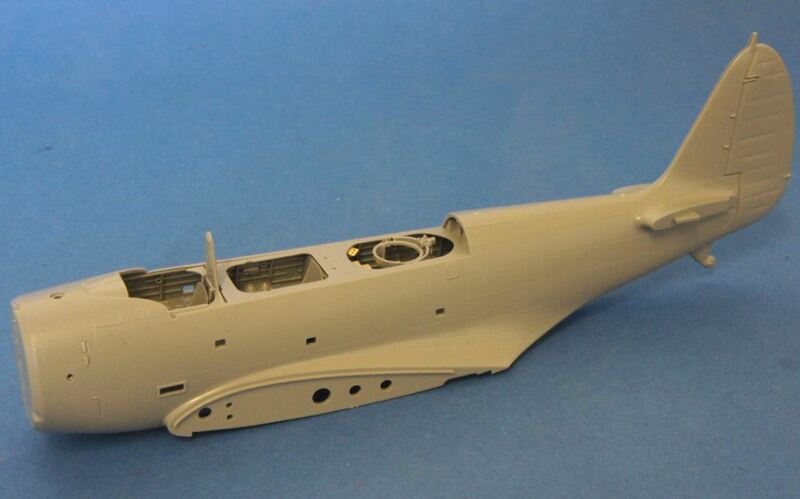 This is Great Wall Hobby`s third aircraft kit (if you don`t count the sub variants of the Fw-189 and P-61) and having made the previous two I was interested to see how this kit has developed from the previous. An initial look in the box looked very promising and this review can be found in the Here Now Section along with a review of the paint masks that will be used. As ever we start with the cockpit and it is very nicely detailed straight from the box with PE seat belts and individual instrument decals. The fit of the parts is excellent and the instructions are clear and logical in their sequencing and illustrations. The cockpit can be assembled into 3 sub-assemblies and each can be painted separately before fitting together and then into the fuselage halves. A quick bit of dry fitting showed and excellent fit all round with no `alterations` being required. There is also some PE for the torpedo/bomb aimer hatch and some more for around the rear machine gun housing. The clear parts for the bomb aimer hatch fits very well but do take a good look at the instructions in order to get this positioned properly !! (Hopefully the pictures will also help you). … and cockpit is reasonably straight forward with the use of Gunze Sangyo Interior Green, a dark wash, some dry brushing and the details are picked out using Vallejo paints. Otherwise there is not a lot more to be said here as everything is very straight forward.